It’s been another fantastic year here at Player Research and indeed, for the video game industry at large. 2017 has brought is some phenomenal titles whose influences we’ll likely see for years to come. As with before, due to the small sample size and wide variety of games that came up as peoples favourites, we’re not going to list an overall game of the year. Instead, our staff have listed their own game of the year, and two runners up. There’s only one rule, and that’s that the game must be released in 2017. On with the list! When I was seven years old I bought TLoZ: A Link to the Past with my birthday money (from a shop, which is where video games came from back then). On the car journey home I opened the box and took out a map. This was the first time I saw Hyrule – Death Mountain, the Desert of Mystery, the Lost Woods. I pored over every inch of that map, wondering what secrets might be hidden in those caves and what stories the inhabitants of this world might have to tell. Twenty-something years later and here it is in BotW, that same world I’d vividly conjured up when I was seven. The valleys, the rivers, the mountains, just the way I’d pictured them, and those same feelings of anticipation, the same eagerness to explore every inch of the world and to imagine what might be hidden, just over the next hill. Breath of the Wild took me back in time (without an ocarina). The closest that any game I’ve played has come to emulating the experience of a traditional tabletop roleplaying game. The game lets you perfectly replicate the subtle strategies of “You distract the guy and I’ll sneak in and steal everything”, and the ever amusing “Why would you teleport him there?! Now we’re all dead!”. An incredibly moving exploration of the stories we leave behind. Full of unforgettable moments in a world both eerily strange and oddly familiar. It was an incredibly moving experience, to the point where, upon completion, I simply sat and thought for a while – about the stories that came before me and about the kind of story my life might end up being. Edith Finch is interactive storytelling at its best. I don’t generally feel a burning need to 100% games. 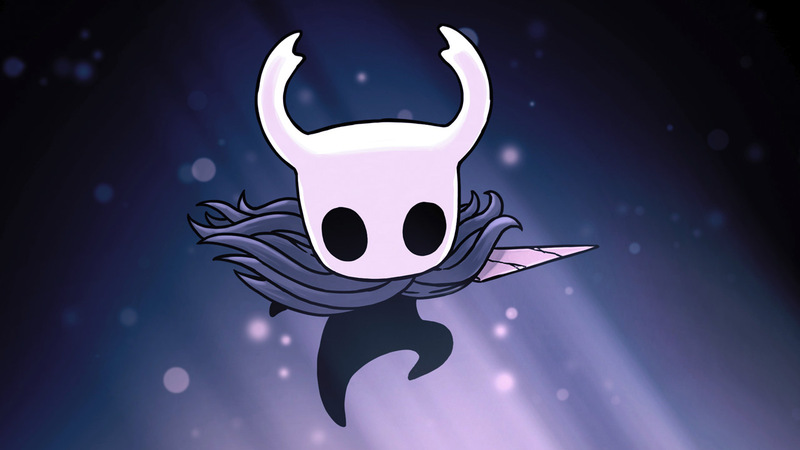 This year, however, Hollow Knight was the exception to the rule, and I found myself falling head over heels for this game in a big way. For those who are unaware, Hollow Knight is an insect-themed metroidvania, boasting a bloody gorgeous art style, savage-but-fair boss fights and precision platforming, and a strange and genuinely fascinating world to explore. The thing I admire most about this game is that you can play for only an hour at a time here and there, and in that time you’ll either have seen a new part of the world, accomplished something noteworthy, or witnessed something cool and surprising. Either way, it always felt like time well spent. This game is just brimming with charm and comfortably stands alongside the other greats in the genre. I was incredibly excited for Cuphead back when it was announced in 2014, but by the time it released, a few gnawing doubts had crept in. I was worried that the boss battles would be few in number and horrendously punishing to compensate, and that it wouldn’t hold my interest for very long as a result. Boy I was wrong! Some of the bosses do feel needlessly painful on occasion, but for the most part every boss I’ve encountered has been difficult, but not overwhelmingly so, and tremendous fun to fight. Beating a boss is less of an exercise in rote memorisation of attack patterns, and more of a result of experimenting with different strategies and making full good use of the abilities available to you. Because of this, fights feel like less of a grind and more of a puzzle to figure out. And it feels darn good when you do! Night in the Woods joins Hollow Knight and Cuphead in the camp of games that are just beautiful to look at. Night in the Woods is certainly not a case of style over substance though; it’s a game that has a clear idea of what it wants to talk about, and weaves those themes into a really compelling story with characters that feel well-observed and genuine. Night in the Woods is about a girl returning to her hometown after dropping out of college and attempting to slot straight back into her previous life like nothing happened, only to discover that while she has stayed the same and refused to grow up, the rest of the people in her life have left her behind. It’s poignant and complicated, but it’s also grounded, and doesn’t take itself too seriously. Night in the Woods has exceeded my expectations in ways I didn’t expect at all. Just a lovely little package. A small game, with loads of optional content. A Metriodvania with tunnelling mechanics, I really enjoyed the first one, and this is more of the same. Every time an ability was unlocked it felt great and I don’t know how I coped without it previously… this happened every time. Also perfect to play on the Switch. Not perfect (in spite of what you may hear), but a great game. I had many issues, but that’s only because I played it for so long! The main reason that the game isn’t my top is due to it’s terrible story (sorry Zelda fans). A truly splendid, campaign-redefining expansion. 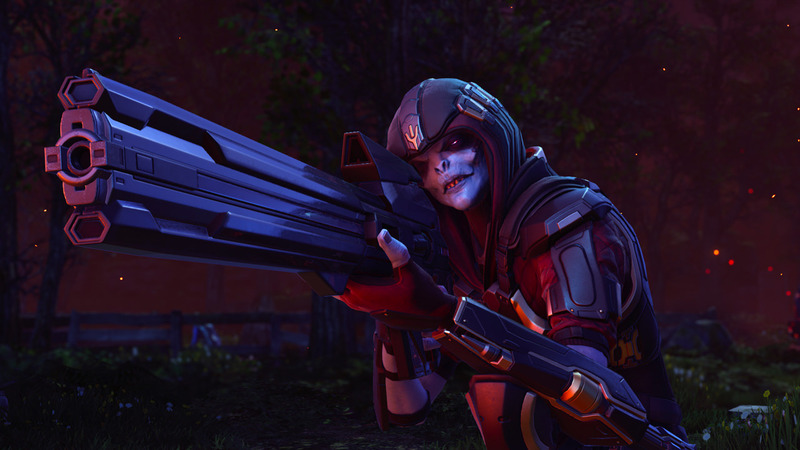 It took me ages to get into XCOM 2, given the steep increase in difficulty from the first game, but I loved it when I finally “got it”. This was taken to the next level with War of the Chosen, packing the already superb campaign full with additional, exciting, interesting things to manage and do. Getting to use the defeated Chosen’s weapons in combat was a deeply satisfying highlight. Like War of the Chosen, Warhammer II is another fantastic follow-up, taking a maximal approach to adding new coolness to an existing model. I played as the High Elves – perhaps the most pedestrian of the new races – and it was still fantastic, epic, and engrossing. I’ll return at some point to play the Mortal Empires campaign as someone more unusual, like Skaven or Lizardmen. I feel that this slipped under the radar in the office, with few Player Researchers actually getting a chance to play it. It is, of course, another sublime game from Naughty Dog. Incredible graphics, amazing performances, great gameplay, and exceptional, subtle UX design. Final Fantasy VII Remake, as always. Others will talk more eloquently about BotW’s grand scope and achievement: I’ll focus on the music. BotW’s score initially takes a light touch, flirting with minimalism, ambience and jazz. Your initial lonely explorations are accompanied by sparse ambience: you’re more likely to hear the wind howling than a jolly tune. But as the game’s scope broadens more melodies and layered instrumentation are introduced. The piece that accompanies horse riding is the best example: a syncopated flurry of high tinkling piano notes, mirroring your horse’s gait and serving as rhythmic base for the series theme, itself played on a single string instrument. 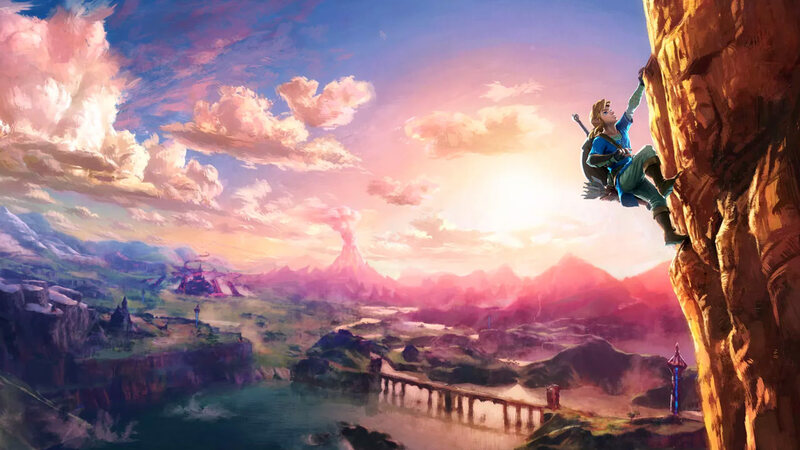 And innovation persists in rest of the score: squishy bonks and boings for the battle theme percussion, ambient audio cues informing the player (like when entering a cold area), and finally – brilliantly – the use of a full, grandiose theme around Hyrule Castle. Breath of the Wild managed to redefine one sort of open world game for me this year: the grand unified world. Mario Odyssey helped me realise that there’s another sort: the playground. Odyssey gave me a number of these mini playgrounds to explore and enough activities to carry out in them to keep me interested for the foreseeable future (I’m not one of those who will be chasing the final Moon any time soon). 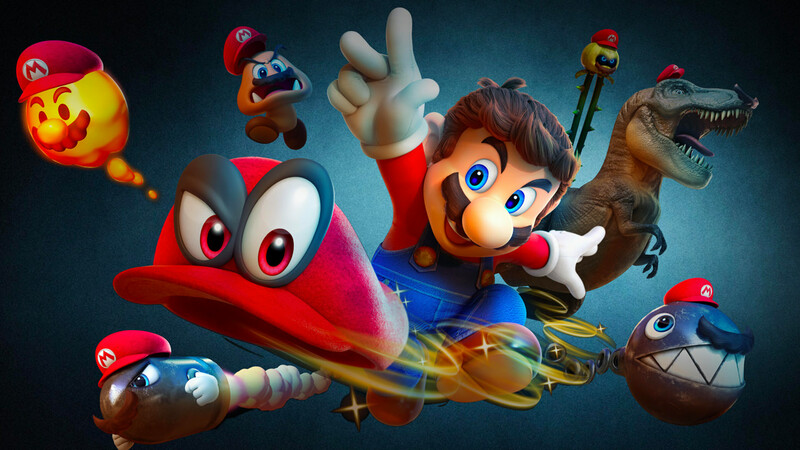 I almost hadn’t realised it, but Odyssey represented the structure and rhythm that I wanted from a Mario game, and – perhaps more importantly – a Switch game. It’s a meaty single player experience that naturally separates itself into pick-up-and-play chunks; almost a poster child for how the Switch slots into players’ lives. Plus, that New Donk City finale, phew. I’ll list this as one of my games of the year, but won’t necessarily recommend that others play it. Too many of the high points are either locked behind many hours play, or are linked to having played the first game (which few have, and I can’t tell anyone that they need to put themselves though that in 2017 to enjoy Automata). Worse, the very best moments require both. But what Automata represents is a grand mess: the game’s ruined world is beautiful from start to finish, the combat fast and flowing, the multilingual soundtrack surprising and lavish. But the story and atmosphere are the stars: this is a game that starts from an absurd premise, manages to establish strong characters within that premise, then (eventually, and over the course of multiple ‘replays’) comprehensively tests and breaks down those characters. Right from the start, it felt like Wildlands wanted me to finish, to see the whole game. If ever I felt stuck, there were numerous ways to get through – use my AI colleagues, adopt a new strategy, or best of all, invite a friend to join my session. This meant each play session involved meaningful progress, a factor which kept Zelda from being one of my top games of the year. Of course none of this would matter one jot if each session wasn’t enjoyable, but it always was. Just a very nice place to return to time and time again. A vertical scrolling shmup for a GOTY? If it brings delight, well why not. This is exactly the sort of game I’d have played when growing up, it reminded me of Hybris or Battle Squadron, except brought up to date via modern game development tools. If I ever get around to programming a game, this is the sort of thing I’d write. I even dug out my Vita so I could play this when on the move. Fantastic soundtrack too, play with headphones on. So much charm. And humour. I use to enjoy golf games on 8-bit computers (anyone remember World Class Leaderboard? ), so coupling a decent golf game with slightly bonkers quests in this quirky world makes for a very enjoyable time. A perfect fit for the Switch, and a must for anyone who enjoys retro-inspired games. Did mention it has geese? A clear winner for GOTY for me and one of the best RPGs I have played in a very long time. The brilliant, tactical combat, sense of exploration and amazing world building make a game that really stole the show for me this year. 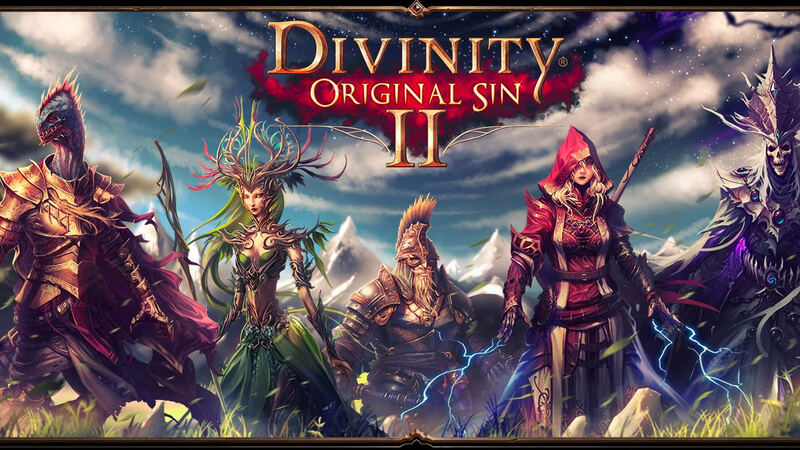 Although the main storyline is incredibly strong, a lot of the highlights in D:OS2 come from following seemingly inconsequential conversations or leads from NPCs and seeing where they take you. How could a game in which I completed a quest for a chicken which involved killing her cursed chick not make my GOTY top spot? I am so glad Ubisoft took a year off this series. This entry feels like a real return to form for the series, and makes some interesting (and great!) changes to core features of Assassin’s Creed. Once I got the hang of it, the combat system proved to be much deeper and more satisfying than in previous games, and the RPG-style quest system adds a completely different element to the game. My inner child, who had a fascination with ancient Egypt explodes with excitement every time Bayek climbs a 50ft tall statue of Anubis, or scales an iconic Egyptian landmark. This game fills me with confidence that we will see some more truly brilliant games from this series. I arrived a little late to the Switch party, but every game I have played on it so far has been very enjoyable; from playing Mario Kart on a flight with my girlfriend, to rediscovering how much I love Stardew Valley. 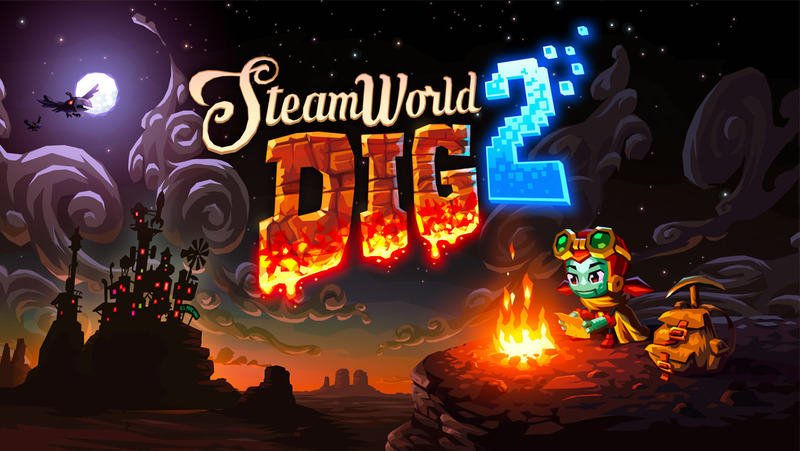 But SteamWorld Dig 2 makes it into the list because of how much of a surprise it was to me. Recommended by a colleague (i’m sure you can guess who from the other entries in this article), I pretty much didn’t stop playing from download to completion. SW:D2 is a game that’s not afraid to entirely change the fundamentals of the gameplay by introducing new tools and mechanics throughout it’s (reasonably) short story, with those new toys feeling like you’ve had them the whole time. The satisfying rhythm of mining, combat, puzzles and returning to the surface make this game very difficult to put down. A phenomenal JRPG that’s packed to the brim with with style and confidence. Despite some occasional errors in the English localisation, Persona 5’s engaging dialogue and tight RPG systems manage to keep me engaged for countless hours. 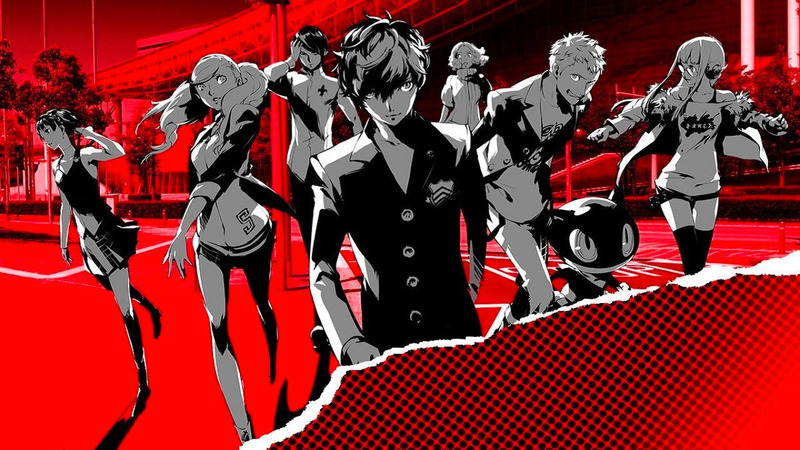 The collectathon style Persona system is retained as one of the games biggest draws, and it’s hard to deny the appeal of hunting down all of the Persona’s, and fusing them together to see what you can make next. One of the best RPGs released in years. What Remains of Edith Finch’s phenomenal narrative, raises the bar for interactive storytelling. While the game only provides a momentary glimpse into the lives of its various characters, it’s a testament to the quality of its narrative delivery that each of these segments managed to resonate with me. Edith Finch’s story manages to explore both the tragedy of death, while at the same time, celebrates life – it hit me in just about every way imaginable, and finds itself as a game that I’d recommend everyone should play. Everything makes it into my top three largely on account of being an entirely original experience – I’ve never played anything quite like it. Everything’s game design shuns the typical motivations that drive us to continue to play, and instead presents an absolute sandbox. No rules, no goals, but plenty to discover and enjoy for those interested in doing so. The accompanying voice clips from Alan Watt’s lectures on philosophy encourage the player to ponder their own life, and how they fit into this world with everything else. A one of a kind experience. What can I saw about Skyrim that hasn’t already been said? I’ve logged over 500 hours playing the “oldrim” and special edition versions across PC and Xbox 360, and despite the game’s flaws I keep coming back to visit this wintery home away from home. The Nintendo Switch version gives me the ability to play it all over again, with the expansions anywhere I want. That means escaping to Skyrim on the metro, in the back seat of an Uber or hidden in the basement at my in-laws. You can’t pay for better relaxation therapy than that. It didn’t take long to be completely enthralled by the story and gameplay. The production value was top notch too with great music and nearly complete voice acting. This game is a quirky dungeon crawling, relationship simulator with monster collecting and all of it was great. Playing a Zelda game in an open world, with physics toys was great and completely exceed any expectations I had. The joy of exploring by sliding around on my shield is still one of my favorite transversal sytems ever, bar none. I can go on and on about how wonderful this game is but everything’s been said already and more eloquently than I ever could. Probably the most engaging story driven game I’ve played all year. My wife and I have spent countless hours on the couch on the edge of our seats with this one. 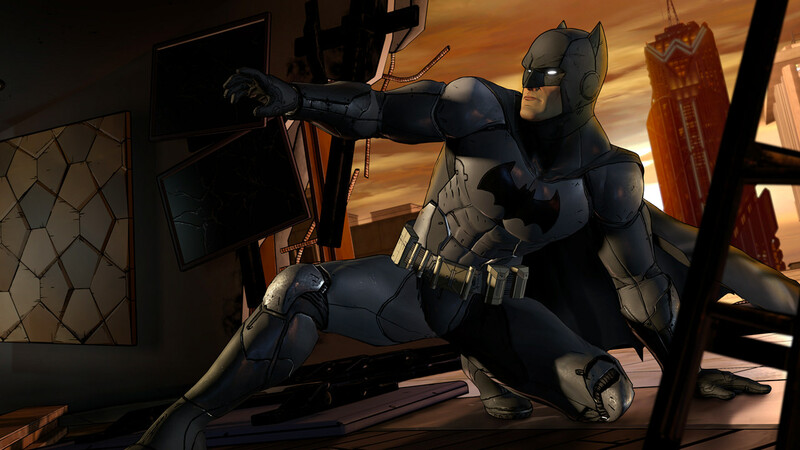 The narrative follows the Court of Owls scenario, which is rarely explored in the Batman universe. As a result, you don’t know how to feel about most of the characters, which makes for interesting interactions. Much maligned, but I spent a solid 100 hours playing this in single and multiplayer over the course of a month. Not much more you could ask for. The Ja’al storyline arc was great, the game features combat that’s fun. Sure, from time to time you’re doing the same open-world-collectathon, but given the value of the universe, it’s still worth doing. Probably the first actual GAME in VR that I’ve played to date. This thing was the reason the dust came off of my PSVR. Skyrim VR lets you use a shield like a shield, a sword like a sword, and walk around like you would walk around. 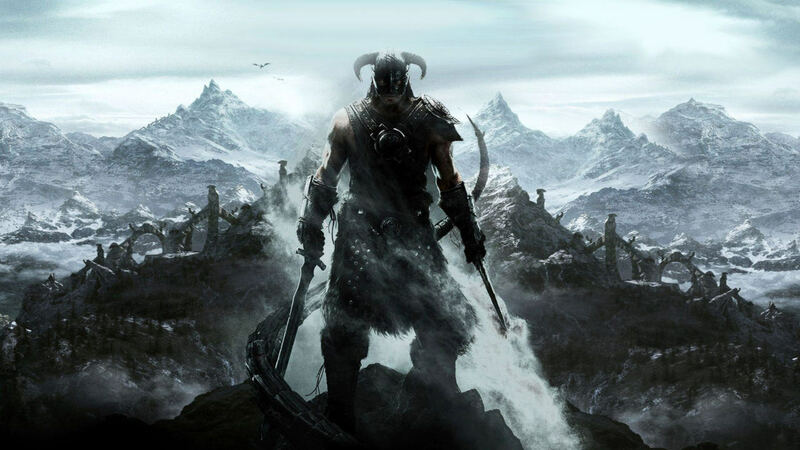 It gives you a new perspective on the massive scale of the Skyrim world, as enormous mountains and dragons seem wholly more imposing in VR. Magical from beginning to end. I never expected a platformer to hold my attention for hours at a time, but Odyssey is full to the brim with content that keeps pushing boundaries with surprises up until the very end and beyond. Every Power Moon feels like a real achievement, whether you find it sitting on top of a tree or have to defeat an incredibly difficult, multi-stage boss to get your hands on it. The opening sequence is epic and does a fantastic job of making the seemingly immortal Guardians appear vulnerable. Once I joined a clan and their WhatsApp group, together we easily sank hours and hours into raids, nightfalls, strikes, and a pinch of PvP. I logged on every day to complete every task I could, desperate for a better weapon or piece of gear. 100 unarmed players parachute down into a huge map. They find armour, weapons and if you’re lucky, vehicles. As time passes, the safe play area shrinks, forcing players into the same region of the map. The last person alive wins. What’s not fun about that? Many a lunchtime was spent with colleagues keen to earn the winner winner chicken dinner prize. I hate online PvP and this game made turned my opinion around. Wildlands really sings when played in co-op. 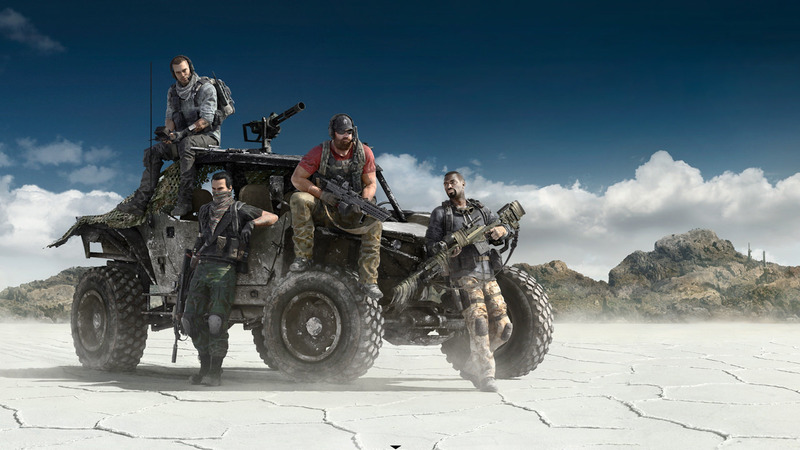 Although eschewing some of the downright silliness I enjoyed in Far Cry, Wildlands delivered on tactical action, gadgets and carnage. I’ll never forget Harvey and I, flying two attack choppers side-by-side, peeking over the crest of an enemy hillfort, humming Ride of the Valkyries. The various UI designed to aid collaboration and tactical play was a huge success, helped by having a great team of Player Researchers to enjoy it with. Sometimes, less can truly be more. PUBG’s brutal simplicity – pared down to a few core mechanics – is testament to the power of focusing on experience. It is raw, heartless, unforgiving, and tense in play. Although my Chicken Dinner counter remains pretty low, I’m looking forward to the new map. With many non-gamer friends and family, I’ll always have a soft spot for accessible games I can confidently introduce them to. That’s You! is a gorgeous, funny collaboration game using Sony’s smartphone-to-PS4 tech – instantly helping with the cool-factor and user-friendliness. It’s silly and fun, and it’s been a huge hit all round. What a year! See you again in 2018. At Player Research we’re often asked “how can I get started in games user research?” – so we wrote a blog post to help! Games user research is a hugely exciting and dynamic domain the the games industry, working to apply our deep understanding of player psychology to the process of video game development. A note from Graham McAllister, Player Research Founder. “I’m proud to announce that Player Research has joined the Keywords Studios Group, global leaders in video games services. Founded in January 2012, Player Research has provided User Experience Research and Playtesting Services to hundreds of leading games and many wonderful clients, assisting them in optimising their games during the development phases and in live operation. We’ve been thrilled to receive numerous awards and recognition for our work. Ever since I started the company, I’ve had very ambitious plans for Player Research. This included expanding into different regions throughout the world and growing our ability to offer services to more and more clients and games. Keywords are the perfect partner to help accelerate that ambition, the expertise, global locations and know-how allows us to not only meet our original goals for the company, but to go well beyond. For our clients, nothing is changing. We’ll simply be enhancing our understanding of players to a worldwide scale adding cultural specificities to our proven methodologies. We’ll still be working with the same breadth of developers across all genres, platforms, and business models as before. Myself and the Player Research team are very much looking forward to helping make your game become globally successful. The gaming press is unsurprisingly alight with comment on Pokémon Go, but interestingly also with huge numbers of guides and articles on how to actually play the game. Why does this big-budget mobile game need propping-up from how-to guides by the BBC, WIRED, TrustedReviews, The Guardian, VOX, Polygon,Redditors, Youtubers, and many more? This article highlights a number of points where Niantic have broken or ignored many UX design principles for designing a game that is easy to learn and understand, that ultimately could be affecting Pokémon Go’s player experience. Diary studies are a research methodology that provides rich, meaningful data about how players interact with a game over a long period. Diary studies give players an opportunity to record their thoughts and feelings about an unfinished game in the moment. This diary tool gives the developers a truly nuanced and deep understanding of players’ motivations over time, their moment-to-moment reactions over weeks and even months, and unrivalled feedback on how best to improve the game from a player experience perspective. Despite these opportunities for insights that are far greater and more actionable than analytics or early access feedback alone, studios are rarely aware of diary studies, relying all too often on cold, impersonal metrics as the sole method of ‘understanding’ their players. Without the addition of qualitative data about how players feel to supplement analytics data about what they did, any ‘insight’ into players’ engagement, monetisation and retention risks being shallow, unfounded and potentially outright false.Continue Reading..